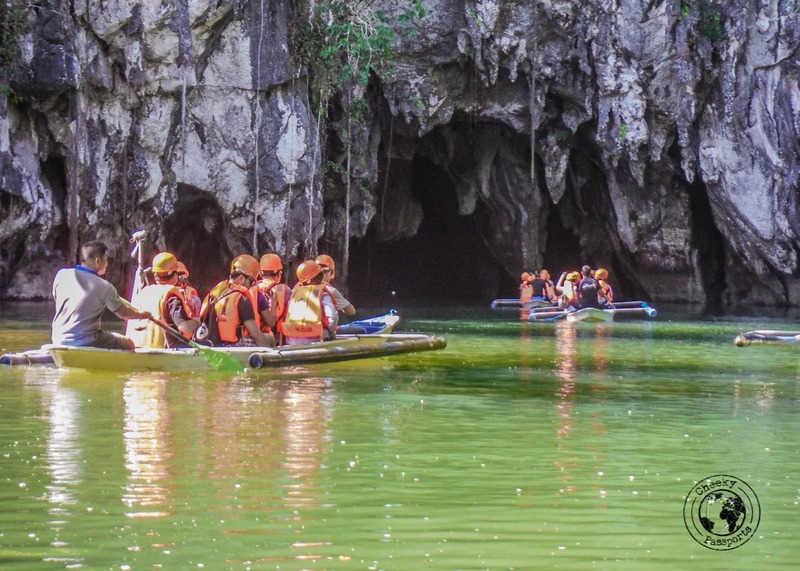 The Puerto Princesa Subterranean River National Park (also known as the Puerto Princesa Underground River or PPUR), a UNESCO World Heritage Site, is one of the highlights of the island of Palawan in the Philippines. 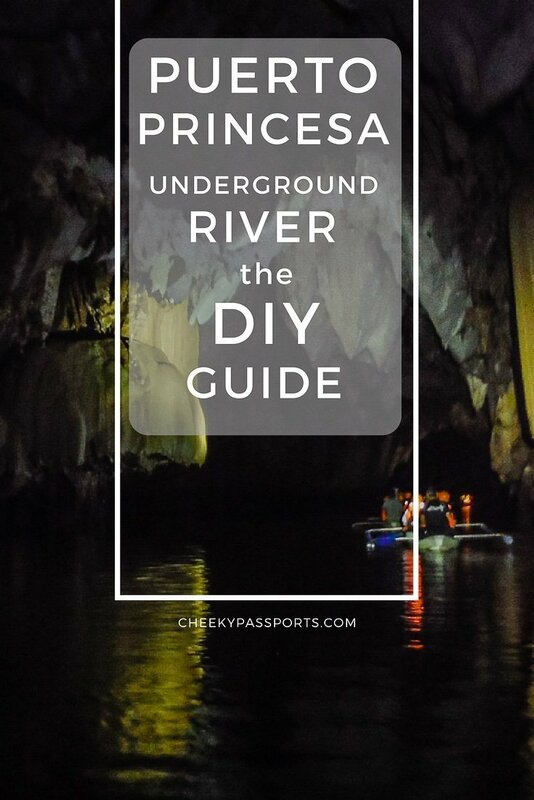 This Puerto Princesa Underground River tour do it yourself guide will assist you in making the most out of your trip without having to join an organised tour. 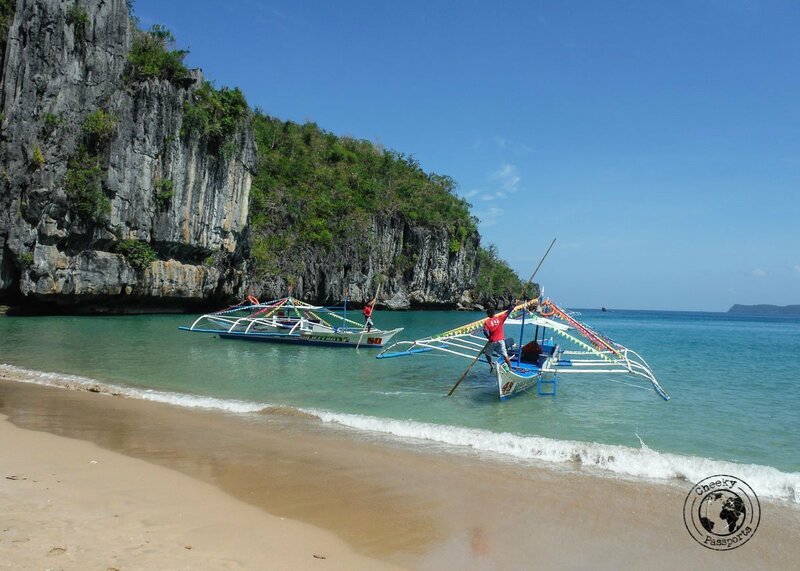 Having been chosen as one of the New7Wonders of Nature, the underground river emerges directly into the sea and is a popular excursion for foreigners and Filipinos alike who flock to Sabang to visit the complex cave system. The National Park features spectacular karst landscapes, beautiful forests and diverse wildlife. 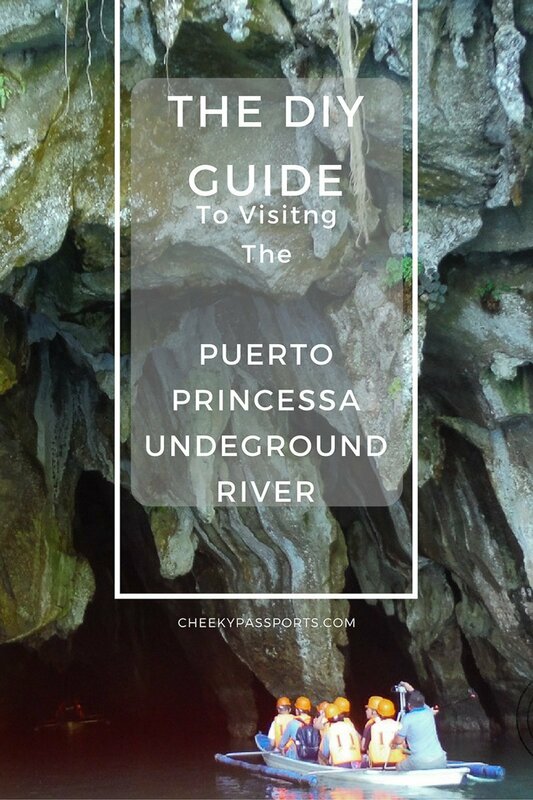 Most tourists choose to visit the PPUR on a group tour, but by following this Puerto Princesa Underground River tour do it yourself guide you can explore the area independently, especially if you are traveling on a budget. If however, you would like to join a group tour, follow this link. Related: Whilst you’re in the Philippines, check out our post about the best street foods! The underground river is actually located in Sabang which is about 80 km away from Puerto Princesa. Prices for a standard day trip from Puerto Princesa to the PPUR, offered by several companies in Puerto Princesa, were rather expensive when considering that you only get to spend about 45 minutes inside the cave. 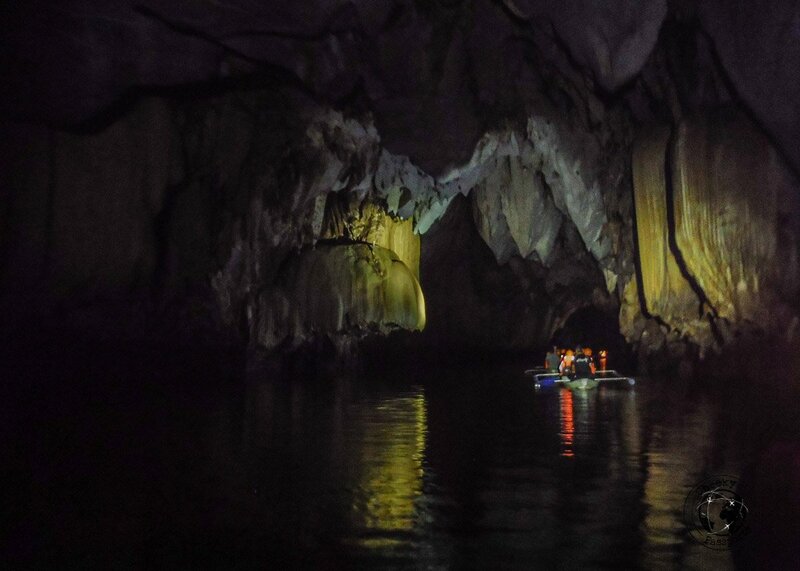 It is however very possible to do the whole thing independently by following this underground river Palawan blog post, rather than going with a group tour through an agency. We always promote independent traveling, without the need of an organised tour, but if you have difficulty planning your own trip, or you are short on time, we suggest that you take a look at the trips by GetYourGuide, Viator and G Adventures. Check the opening hours of the office to ensure that they will be open during your visit. A trike ride from our hostel to the office cost us 50 PHP (about €0.80). We were the only people at the office on a Saturday morning and the permit was issued immediately, thus enabling us to start planning an underground river tour do it yourself trip for the following Monday . No payment was made at this point but an estimate of the total price was given. 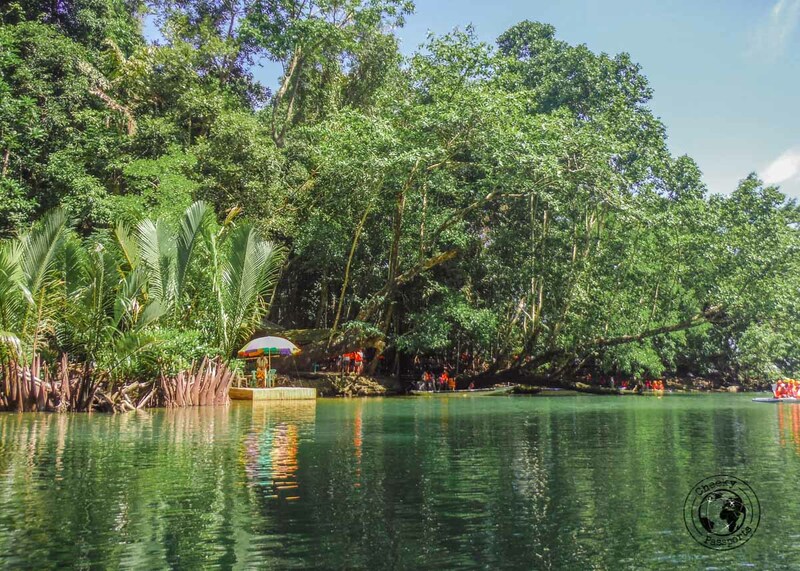 The permit can also be issued at the Puerto Princesa Underground River office in Sabang, but we preferred to get it beforehand just to be sure of securing a place on the boat. If you’re on a backpacker budget, we really recommend staying at Balai Esperanza in Puerto Princesa. 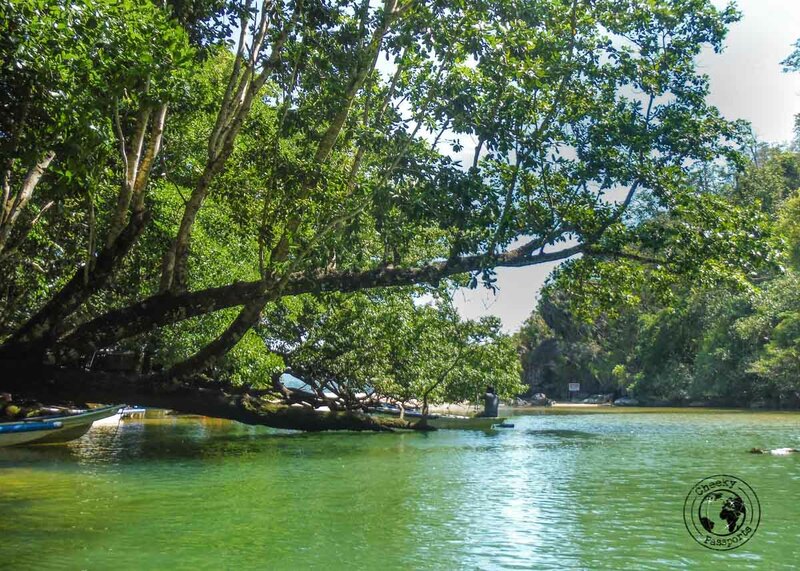 In order to go to the Puerto Princesa Underground River, you first need to get to Sabang. We decided to stay in Sabang for a couple of days since we liked the vibe there, but you don’t have to do this even though we totally recommend it! Buses and minivans depart from Puerto Princesa to Sabang from the San Jose bus terminal. We read that buses should leave at 7am, 9am and 12am, but we got on a relatively full bus at 9.30am which left at 11am. There were no vans to Sabang in sight. We really do advise you to go to the terminal as early as possible to check out the day’s schedule which seems to be “flexible” if you want your plan for an underground river tour do it yourself to work out! The bus ride took about 3 hours. Many people on the bus seemed to be carrying the entire contents of their house including lots of live chickens! We were the only foreigners on the local bus which also seemed to double up as a transport vehicle making the entire experience rather amusing! Different shops passed on goods to the bus driver which were strapped to the rooftop of the bus, until a very large variety of items such as aluminium rolls, metal poles and cardboard boxes formed a massive pyramid on the top of our bus which we carried for almost the entire journey. These were eventually dropped off to different people along the route to Sabang. The cost of the bus ride was 125 PHP each (about €3.00). You then need to go to the jetty right in front of the office where you will be asked whether you would like to share a boat or to book your own personal boat. The cost of going on the shared boat (6 people in total) is 187 PHP each (about €3.00). You should not have to wait for too long to make up the number of people for the boat to fill up and leave. 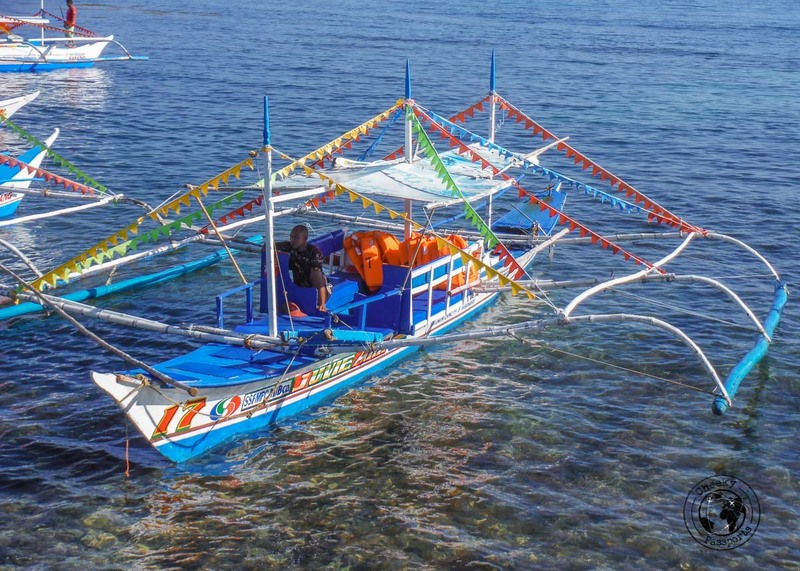 The motorised boat will take you to a beach where you need to get off and walk to an area where you are given the audio device and then shown to a bangka which is what will be used for the trip. The guy rowing the bangka also doubles up as your guide. The bangka will take you inside the dark cave. The audio guide is very helpful in explaining the history and importance of the cave system and river, as well as describing various rock formations, stalactites and stalagmites. Many of the formations have been compared to religious scenes or vegetables, both of which seem to be very important to Filipinos! Do be respectful and observe silence during the tour so as not to disturb the natural environment. Conservation of the ecosystem of the underground river was given a lot of importance during the tour which we appreciated greatly. The tour only takes you along the first 4 km of the cave and is about 45 minutes long. 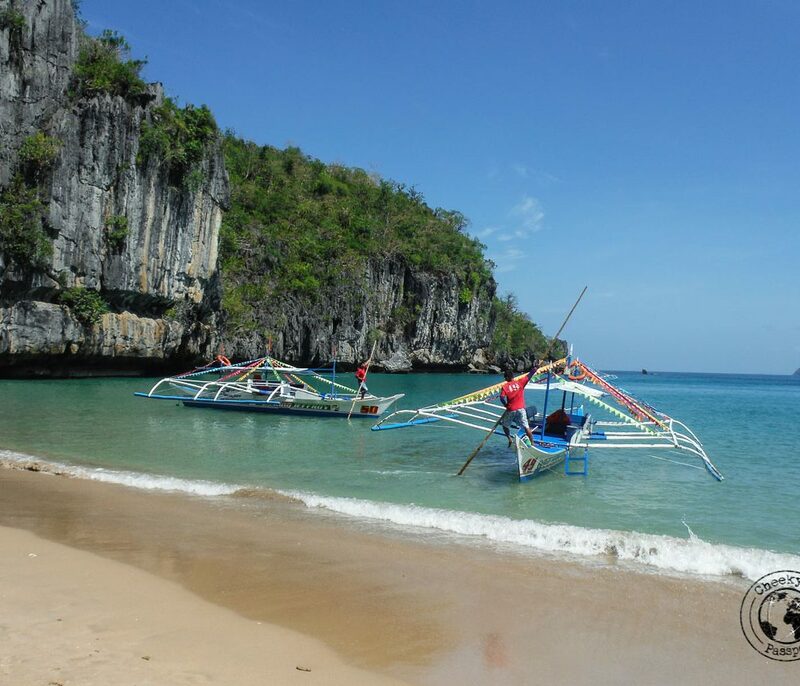 Your boatman will be waiting for you at the beach to take you back to the jetty in Sabang to complete your DIY underground river tour. The DIY Puerto Princesa underground river trip cost us 922 PHP (about €14.50) each excluding transport to Sabang. The bus from Puerto Princesa to Sabang cost 125 PHP (about €2.00) each, so a DIY underground river tour starting from Puerto Princesa to Sabang and going back using public transport, would cost less than half the price quoted by agencies for group tours. The agency price also includes lunch and possibly some include other attractions such as zip-lining and jungle walk which we were not interested in doing this time round. The trip from the jetty to the cave, the time inside the cave, and back took about 1.5 hours. We have been to more beautiful caves than this one and we do feel that the price was rather steep, even when going on an underground river tour do it yourself, for such a trip. Having said that, it is apparent that the cave and river’s importance do not lie solely in the aesthetics of the cave system and perhaps we could not appreciate its actual wonders fully. With careful planning, it is possible to go to Sabang, do the tour and go back to Puerto Princesa on the same day but we preferred to stay in Sabang. Wear flip-flops or other shoes which you do not mind wetting on the tour. You will need to get into knee deep water to get out of the motorised boat. Do not wear long garments for the same reason as above. You will be given a helmet on the tour. Be sure to keep it on, and do not open your mouth if looking up. The cave is full of bats which have no problems showering you with their poo. We really recommend staying in Sabang for a couple of days, there is more to the village than just the Puerto Princesa Underground River, the area is packed with caves, beautiful beaches and jungle trails all of which can be visited. On a tour around Honda Bay you will probably get to visit Starfish Island, Luli Island, and Cowrie Island. Island hopping around Honda Bay is not as good or as beautiful as that around El Nido and Coron, but if you don’t intend heading north to those areas, it is worth while spending some time seeing the Palawan islands around Puerto Princesa. Tours around Honda Bay can be booked here. 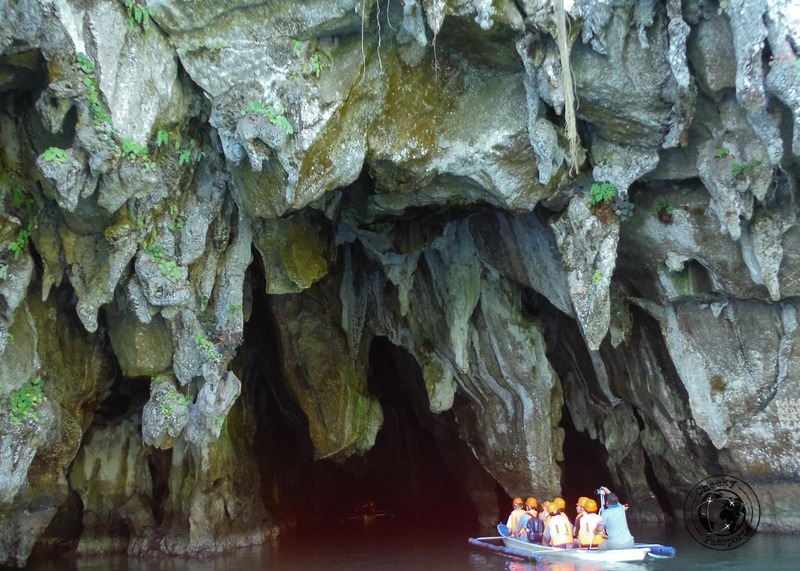 Package tours to the Puerto Princesa Underground River sometimes include a stop at Ugong Rock, but separate tours to Ugong Rock also exist. A tour would typically include a climb up to the top of the rock, and an adrenaline-filled zip-line experience back down. Tours to Ugong Rock can be booked here. A half of full-day city tour will take you all around the main sights of Puerto Princesa, including the Immaculate Conception Cathedral, Plaza Cuartle, and Palawan Wildlife Rescue and Conservation Centre (the Crocodile Farm). Of course you can opt to visit most of the city sights independently if you have time. City tours can be booked here. This rather intriguing experience will take you inside of a real prison for an insight into the day to day life of the inmates. When you are there, you can interact with some of the inmates who might open up and tell you their life stories and reasons for being in prison. You can even buy items made by the prisoners themselves! A paddle canoe will take you along the river at night time where your guide will point out the trees lit by the glowing insects. Fireflies tour can be booked here. We thoroughly enjoyed our stay at Balai Esperanza but if your budget is not that restricted or would like some pampering and luxury, consider a night’s stay at the Canvas Boutique Hotel. You can also choose from a wide range of accommodation on Hostelworld, Booking.com or Agoda. Thank you for this! very helpful guide! we’re going in June. can’t wait! Glad you found it helpful, feel free to send us a message if you need to ask any specific questions! I’m staying at a hotel in sabang and will make my own way there, the hotel want 1600php for the tour, total rip off. where is the office in sabang to arrange the tour myself? Hi Grant. You can’t go wrong, the office is the only large(ish) building in the center of the pier. You will need to purchase the permit besides the ticket. This can be done in the same office or in Puerto-Princessa if you’ll be passing by from there. Re boat ride, it is most budget friendly to share. All you need is wait at the pier for others, until you reach max boat capacity (it took us max. 5 minutes). 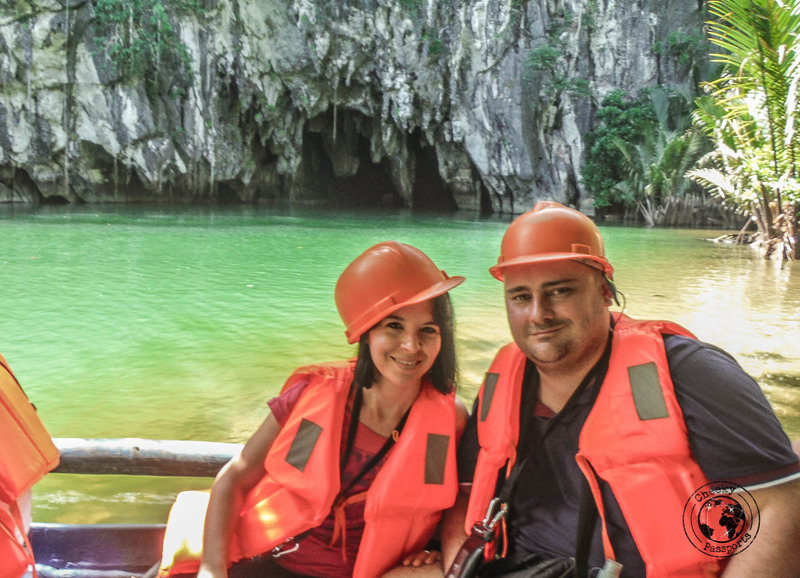 i am a filipino and will be going to palawan this june 5 – 9 with my wife and daughter, planning to DIY for underground river, checked with travel and tours and they charged P2,500 each.i see here that you are a foreigner and you were able to visit underground river with DIY. 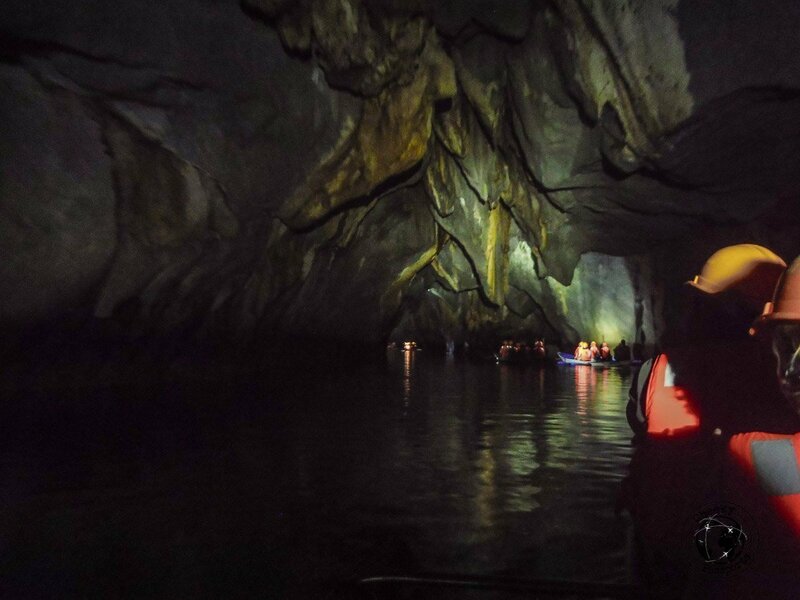 That’s WOW…Is it really easy to DIY for underground river? the price you spent is half the one they are charging. We are 6 going to Puerto princesa, I am not too keen on boat rides. Is it difficult to get on and off the boats? Hi Dexter, we wouldn’t know if the price is exactly the same right now since we are no longer in the area although we are not aware of any changes. We suggest that you contact the PPUR office in Puerto Princesa or in Sabang to check the exact prices. Hi there! We’re scheduled to arrive at PPS airport around 11:30 AM on September 21, 2018 (Friday) and we want to go directly to the Underground River but on a DIY. Do you think we can make it given that we still need to secure a permit and travel to Sabang for 2 hours and wait for a boat ride to the river for our tour? We want to maximize our 3D2N stay as we plan to head to El Nido after the Underground River tour the same day. Hi Shane, that sounds a little tight! There’s no guarantee that you’ll make it especially if you don’t find a local bus or van headed to Sabang as soon as you are done with getting the permit! It’s not impossible if you are lucky with transport, (though I’m not sure that the boat tours to the river keep running till late), but I wouldn’t depend on getting to the cave the same day you land. Also keep in mind that Sabang to El Nido is a 5-6 hour journey! Thanks a lot! I learned a lot from your blog. I look forward to my upcoming trip. I heard there are only a couple of slots available per day. I mean Underground River Permit. Do you think we can obtain the permit in the morning when the office is open. And go there on the same day? It is difficult to get the permit in Puerto Princesa and go to Sabang on the same day. You can try getting the permit in Sabang for the same day of your trip, but you’re right, they do fill up quickly. thank’s a lot for this very helpful information you posted here on the internet. Hi Jethro, I’m afraid we’re sure about that. You mean the boat from Sabang right? Sabang is very small, but there are some guesthouses and hotels there. Perhaps you could arrange something with one of them? Hi I am planning a DIY on a Sunday. 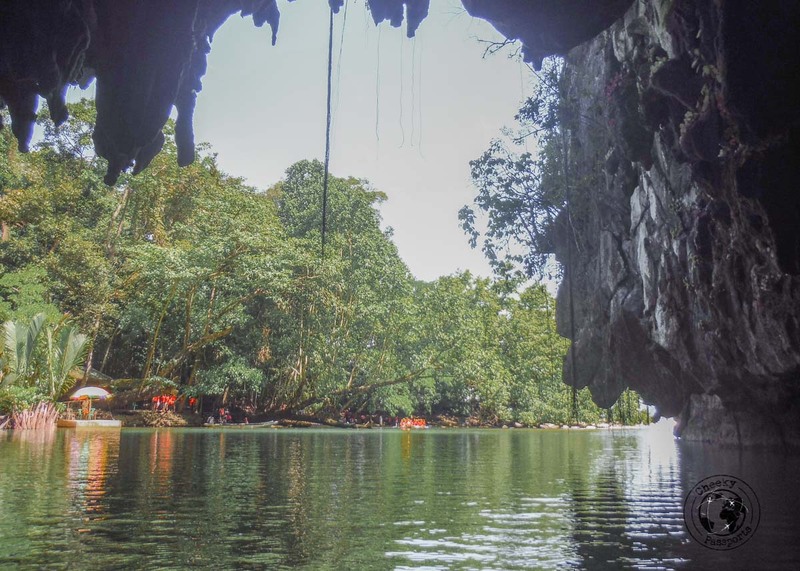 Do the underground river tour and permit office operate on Sundays? Hi Nelson. We think it is although we haven’t been on a Sunday.